London-based installer Cornflake claimed top spot in the Home Cinema £340,000 and over category, for its IMAX private theatre installation – the first domestic IMAX setup in Europe. The room, which uses dual 4K 2D/3D projectors and offers seating for 15 over three rows, was praised by the CEDIA judges as ‘a residential cinema that is quite like no other’. 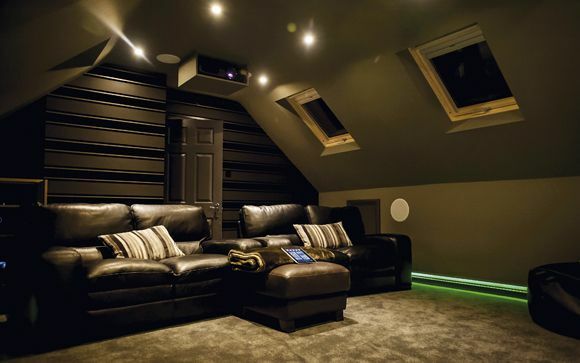 Another UK winner was Cyberhomes in the Home Cinema £120,000-£340,000 category for a 4K projection/Dolby Atmos setup nicknamed ‘Hampshire Cinema Seduction.’ This theatre room is part of a whole-house smart installation which also scored Cyberhomes a Highly Commended award. Other UK companies claiming 2018 CEDIA Awards are TwentyTwo Integration, Intuitive Homes and Ultamation, Homeplay, SONA, Environ, M.E.G.A. AV Installations, Connected Works and Total Solutions, The Next Level and The Pyramid Group – the latter Highly Commended for its new home cinema showroom at its Plymouth HQ. Announced at the same event were the Global CEDIA Awards that pitch the EMEA region against projects from the Americas and Asia Pacific regions. Here, the winner of the coveted Best Home Cinema prize was Indian installer Sound Sense, which triumphed with a 33-seat movie room that came in under the £40,000 mark.